This large Smokey Quartz weighs over 9.5 Lbs. This item ships free anywhere in the continental USA. This piece of Smokey Quartz weighs over 3 Lbs. This item ships free anywhere in the continental USA. This Smokey Quartz weighs over 1.5 Lbs. This item ships free anywhere in the continental USA. This Smokey Quartz weighs 1.5 Lbs. This item ships free anywhere in the continental USA. This Smokey Quartz weighs over 3 Lbs. This item ships free anywhere in the continental USA. 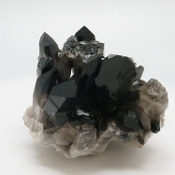 This Smokey Quartz has crystals on all sides. It is 6 3/4 inches long and stands 3 inches tall. This item ships free anywhere in the continental USA. 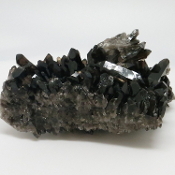 This Smokey Quartz is 3 1/2 inches long and stands 2 3/4 inches tall. This item ships free anywhere in the continental USA. 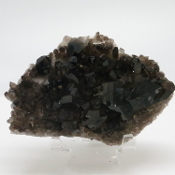 This Smokey Quartz is 4 inches long. This item ships free anywhere in the continental USA.